List of bookmakers and sportsbooks that offer Virtual sports betting at their website. Vbet bookmaking company appeared in 2003. Initially the company operated under another name (Vivaro Bet) and performed its activities in Armenia and Georgia. In 2008 a possibility to bet online appeared, but the management didn't forget about its outlet chain and its number grew. Gradually, the bookie's popularity grew as well and soon the company came out on the European arena. 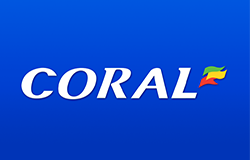 This bookmaking company is not very famous currently, but its ambitions may eventually bring it to the elite of the betting industry in today's business world. 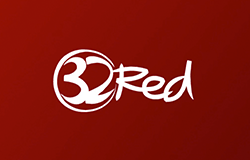 It is a new brand on the European gaming market. Ohmbet is a Scandinavian operator, headquartered in Malta. It has been operating for two years already and still keeps improving own services. Like majority bookmakers from that territorial region, Ohmbet pays much attention to the safety of financial transactions and security of players' personal data. The bookie has advanced website with clean and simple layout. It provides 14 language versions, analyzing which we can conclude that Ohmbet tries to expand Asian market too. 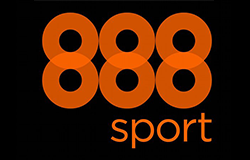 This sports book is known for generous bonus program and good coverage of European sports. Betadonis.com is a first-class gambling portal with a huge range of entertainments. It unites a large bookmaker, and has a sound Poker-room. The site has an original design with a great attention to details. The online resource is very easy in use and familiar at first view. Except for wagers on sports and Poker-room, Betadonis provides Casino services, including Slots and Live Casino. It has live scores and statistics centre. This operator is going to launch live streaming in the nearest time. It is deemed to be another leading book, and suggests a unique online resource based on the advanced software. In terms of sports line it has a few flaws, so it has some points to improve. The bookie is aimed at an international audience, which is proved by six language versions available on the site. It has no restricted areas, so if the punters cannot sign up at Titan Bet, it is due to the local authorities. This operator can meet the standards of different groups of players. It has sheer number of wagers on sports and gaming options. BookMaker is American bookie, focusing both on professionals and beginners. Although, it has narrow sports line that cannot be suitable for a number of punters. The bookie invites bettors from every corner of the world. However it does not provide convenient options for different territorial areas. At the end of 2012 BookMaker completely moved entire client base to the new site at Bookmaker.eu. The bookie gives strong consideration to top American leagues and horse races. Prices are offered just in American format. Except for wagers on sports it provides Poker-room and Casino. In general, this book offers average terms for betting. 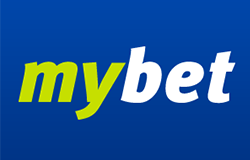 Betworld is a promising European sportsbook. It offers traditional betting opportunities, as well as unique options. New players can claim a generous bonus and active punters are able to get certain reward for their gaming. The bookie is focused on European leagues. Football, tennis, basketball and ice hockey are covered best of all. There are also some marginal sports. Curling, cricket, floorball, pool, and darts enthusiasts can make use of Betworld too. This operator provides complex gaming opportunities. Except for sports you can wager on E-Sports, politics, Casino and Live Casino. BetEast is an affiliated company of Galaxy Group Ltd, and its activity is licensed and regulated by the government of Curacao under the license 365/JAZ. Bookmaker's website is based on SportsBook UltraPlay platform and besides sports wagers it offers users to try their hand in Casino and various online games. BetEast online resource has ten language versions that are able to attract players from across the globe. BetEast accepts majority popular payment means. Bitcoin wallets are accepted too. Being Asian operator, BetEast perfectly covers E-Sports. The official website is dynamic and colorific. 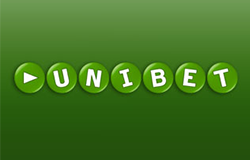 Vikibet is a complex gaming operator. It covers top sports events, and also provides popular Casino services. Online Casino enthusiasts can make use of this operator too. Vikibet is primarily known for Casino. Wagers on sports are deemed to be attached to Casino. It uses high quality software and is widely known with gaming professionals. Vikibet constantly upgrades and adds new products, which allow offering new opportunities from time to time. The bookie has sophisticated design and is able to meet the standards of the most demanding players. There are several language versions, which make playing at Vikibet more convenient. Jetbull is still inexperienced bookie. The official site provides wagers on sport, virtual sport, online Casino, modern Slot machines, Bingo and various lotteries. SBR ranks gambling services of Jetbull quite high. Naturally, this bookmaker makes the list of top-100 best international operators. The online resource has several language versions, including English, Russian, Turkish, Spanish, Swedish, and German. The list of available currencies and payment options is long too. Jetbull covers more than 20 sports, as well as political and entertainment events. There are all top markets such as Asian handicap, over/under, double chance, and handicap. The ultimate guide of online horse racing betting for newcomers! How to bet and win big with horse betting. Bitcoins are now being accepted at most of your favourite online gambling site as a payment option. So what are bitcoins? The absolute guide to Mobile Betting. 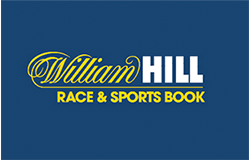 Find which bookmakers offer what and take advantage of their promotions! Bookmaker offer an increasing number of deposit methods but which is the best? We have the answer!